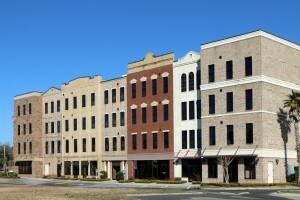 If you own a commercial property, do you have a frequent, nagging worry that it could be contaminated? It’s understandable, because many properties throughout Southern California and the entire nation are contaminated with asbestos, mold, fungus, lead, or other hazardous materials. The only way to know for sure is by scheduling an environmental evaluation with Southern California’s decontamination experts at H2 Environmental Consulting Services. It might sound like a weird idea, but why don’t you even make contacting H2 Environmental Consulting Services for an environmental evaluation one of your New Year resolutions? It’s one of those tasks that’s important but not totally urgent, so it can often get left behind during the daily grind. You’ll feel so much more at peace when you know for sure whether any contaminants are lurking in your commercial property. When you call H2 Environmental Consulting Services at (800) 524-3578 to schedule your environmental evaluation, our company truck will be in your commercial property’s parking lot at the exact time of your appointment. Our experienced technicians will analyze every molecule of your property, including its soil, water, air, and the physical structure to determine its contamination status. If your commercial property is free and clear of contaminants, we’ll happily let you know and you can move along with your life. But if any contaminants have been found there, we’ll come up with a remediation plan that will completely take care of the issue. We offer full remediation services for all contaminants, with our top priority always being safety. We’ll take every single possible precaution to ensure that further contamination does not occur, and safely dispose of any materials we find that are contaminated with asbestos, lead, or whatever other harmful material that was in your commercial property. We know that when you own and/or operate a business, time truly is money, so we’ll always work as efficiently as possible to complete your environmental evaluation and remediation services as quickly as possible without compromising a thorough job. You’ll be back to business as usual in no time when you contact H2 Environmental Consulting Services for all your commercial property environmental needs today. We also proudly offer training for staff who may have to work with potentially hazardous materials. Our mission is to make Southern California as safe and pure as it can possibly be, so we’ll gladly train your staff about environmental safety, best contaminant disposal procedures, and other essential information. Just call (800) 524-3578 to discuss your company’s needs, and we’ll be glad to fulfill them for you.